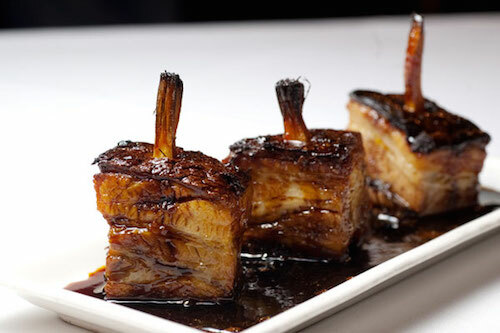 This BERKSHIRE PORK BELLY with STEEN’S PURE CANE SYRUP is a dish that typifies the unique approach CHRIS SHEPHERD is taking at UNDERBELLY in Houston. The James Beard award-winning chef’s menu represents a creative blending of diverse cultures with an eye on upgraded southern flavor profiles and he’s packing foodies in night after night as a result. Keep an eye on CHRIS in 2017. Love Chris Shepherd. How are you? Doing great! Miss you. Let’s talk soon.